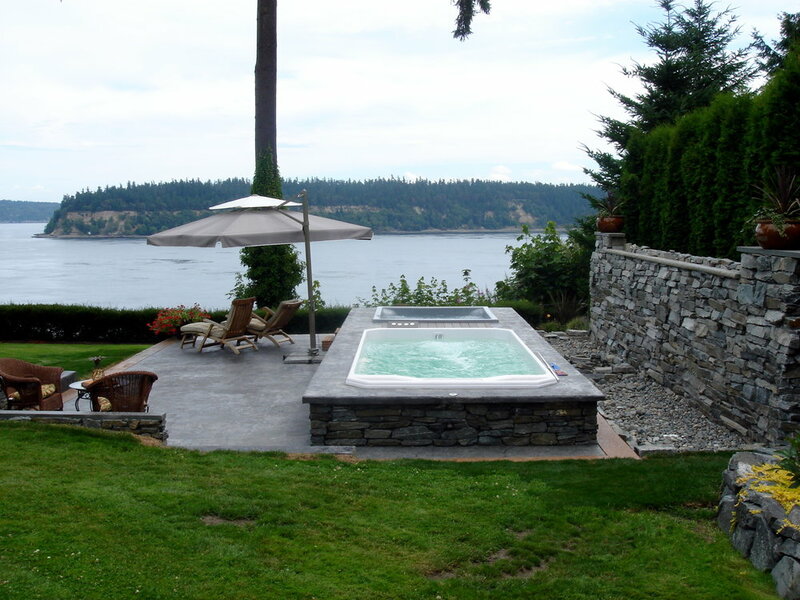 This well planned and grand-scale project is the next best thing to being rich and famous. 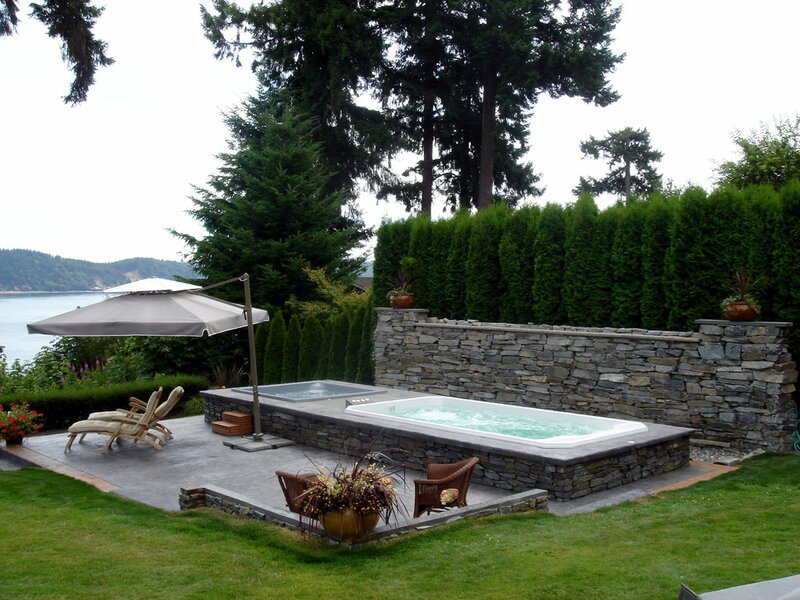 Features both hot tub and swim spa in a raised rock base. Swim Spa: "Hydro Zone E "